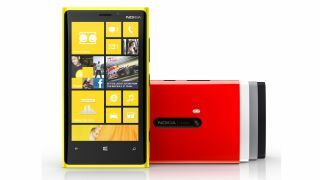 The newest high-end Windows Phone 8 model isn't just a big winner for Nokia, the Lumia 920 is also helping promote Windows Phone 8 as a serious competitor against the entrenched iOS and Android software that powers so many smartphones today. And, now we're through the new mobile format's early days, more and more quality apps are appearing for Windows Phone 8 in general, giving current users of the OS and those contemplating making the switch to a Microsoft-powered phone more good reasons to go against the flow and opt for a Windows mobile. The Lumia 920's well placed to take advantage of the most cutting-edge of WP8 apps, thanks to its high-end and powerful Qualcomm chipset and HD display, while standard smartphone features like GPS support and a very decent camera make it easy to track and share every facet of your no-doubt hectic modern life. That said, there are still some gaps in Microsoft and Nokia's default list of apps and features. Gaps easily plugged by downloading these ten best Lumia 920 apps right now. The Lumia 920 features 4G connectivity for superfast mobile web access (if you're on the UK's EE network right now), so you really need to get this on there on day one. Speedtest is the nation's favourite way of measuring desktop and mobile internet connection speeds, and if you're on a 4G data link the end results it'll generate will give you one heck of a good reason to explain to people why you plumped for the 4G-capable Lumia 920. The BBC has not yet released an official iPlayer app for Windows phone, which makes alternative telly app TVCatchup all the more essential on the Lumia 920. The live TV streaming phenomenon simply relays our free-to-air terrestrial TV through its servers, meaning you can use a 3G, 4G or Wi-Fi data connection to use your phone as a small portable TV. It doesn't support caching or downloading of shows, though, as that could land the makers in hot water over piracy concerns. And the BBC's absence has also been plugged in the radio world by enthusiastic amateur developers. The BBC Radio app streams 10 BBC radio stations to WP handsets over 3G and/or Wi-Fi, including Radio 1, 1Xtra, Radio 2 and BBC Radio 5 Live Sports Extra, plus it supports background playback so you can minimise it and get on with using other apps without stopping the music. Again there's no "catch-up" option to listen to older shows, but it's still well handy for using your phone as a kitchen or garden radio. The popular cross-platform messaging system is on Windows Phone 8, giving Microsoft-powered phone users a way to opt out of their mobile contract's text message limits and chat with friends through a mobile data or Wi-Fi connection. Also, in an attempt to snaffle up WP8 users early doors, the first year of use is currently free for new downloaders, making the decision to switch to its chatting ecosystem even more of a no-brainer. The official Windows Phone Facebook app is a bit of a drab reminder of how things used to be. So try this. The separate Facebook Beta updates the app with a look and feel that's more in keeping with the stylish iOS and Android versions of the social networking tool, and although this means there's little to make it stand out from the apps you see on other platforms, it does mean you're getting a much prettier, more functional experience. It's also nice for power users to have the new slide-in side tab, which makes managing your online persona that little easier. This is Microsoft's attempt at muscling in on the cloud file storage scene. The WP8 app lets users access any files they've previously shared through the service on their phones, with integrated sharing features making it simple to upload any new photos, videos or files to Microsoft's server in the sky. Everything you've dumped up there through desktop is searchable and accessible too, so it's a great way to manage that old stash of Office docs you've previously uploaded via your Hotmail or Live account's SkyDrive support.